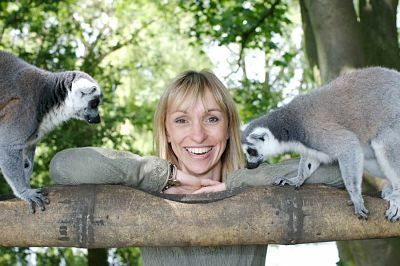 As a booking agent for Michaela Strachan we can arrange for Michaela Strachan to be an entertaining event host for your special event. 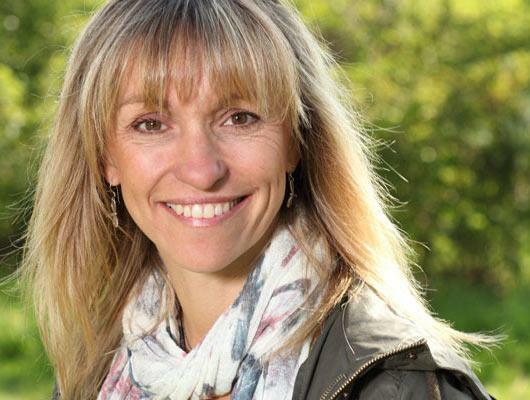 Michaela Strachan is BAFTA-winning and treasured television presenter of children’s & wildlife programmes. Now famous for her wildlife hosting, Michaela Strachan actually grew up dreaming of being an actress in theatre and pursued this ambition by doing a degree in musical theatre at the Arts Educational College in London then subsequently touring in a musical. However, her career took a different path after she landed her first television gig as a host on ‘The Wide Awake Club’ in 1986. Alongside Timmy Mallett and Tommy Boyd she covered a range of children’s topics with fun sketches, cartoons and games, her vibrant personality winning over her young audience. Michaela Strachan went on to present a whole variety of children’s programs, her natural charisma and enthusiasm a welcome addition to the energetic proceedings and helping to engage the viewers. Her love of music soon led her to a presenting role on ‘The Hitman and Her’ which she co-hosted with Pete Waterman for numerous years, switching early mornings for late nights as they visited clubs around the UK. Her first foray into wildlife presenting came in 1989 where she presented OWL TV a series that encouraged kids to look at nature and science. This sparked a passion in Michaela Strachan and after it’s end her future as a wildlife presenter was cemented as she joined ‘The Really Wild Show’ in 1992. The BAFTA award-winning show took Michaela Strachan around the world covering a wealth of animal issues including everything from circus animals to the Chinese bear bile industry. It served as a platform for the passionate presenter to address these cruelties and further reinforced her love for animals as she continued on the show for fourteen years. 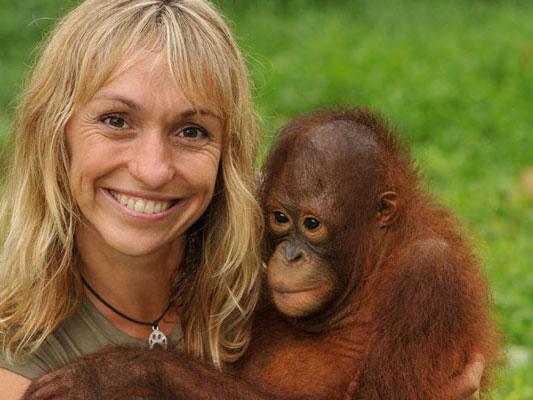 Now firmly established as a knowledgeable and insightful wildlife presenter, Michaela Strachan took her talents to various other animal programmes such as ‘Animal Zone’, ‘Wildlife Rescue’ and ‘Orangutan Rescue’ before being view another regular role on the long running ‘Countryfile’. The show, which she has been a presenter on since 1999, informs viewers on all things farming and country. Throughout her time on the programme Michaela Strachan has taken part in a range of competitions in the industry, trying her hand at a variety of outdoor pursuits and even winning Female World Gurning Champion at the 2002 Egremont Crab Fair. 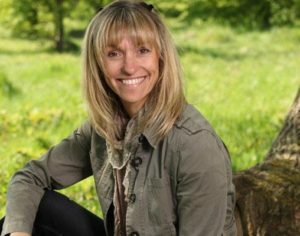 Michaela Strachan continues to share her animal wisdom and passion with regular appearances as part of the team on the much-admired WILDLIFE series on the BBC, consisting of Springwatch, Autumnwatch and Winterwatch. She has also taken on other challenges including competing on the celebrity diving competition Splash which aired on ITV with Strachan reaching the semi-finals. An accomplished, friendly and exciting host Michaela Strachan is an engaging presence on stage and screen, proving to be a popular speaker at events. Contraband is the UK’s top booking agent, with friendly, experienced account managers who guarantee you the best deal possible. Contact us today if you would like to book Michaela Strachan to be the highlight of your event! We as your booking agent are more than happy to help you create the most memorable moments with Michaela.